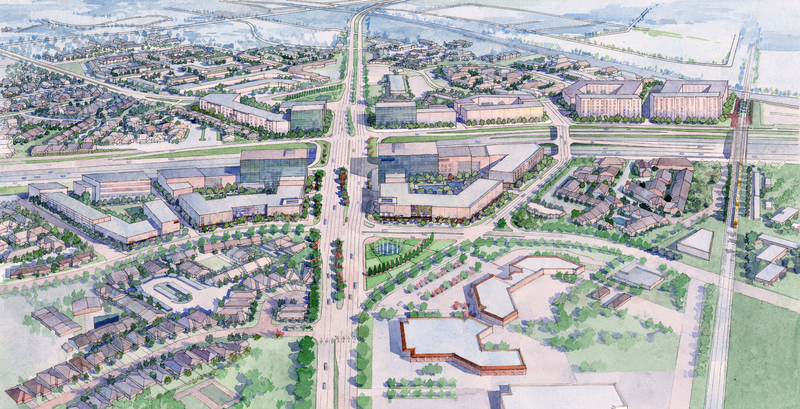 OMNIPLAN has developed an innovative land use and roadway plan to support a new Transit Oriented Development District at a key freeway intersection in northeast Dallas. Working with the City of Dallas, Dallas County, Texas Department of Transportation, Dallas Area Rapid Transit, and a coalition of neighborhood associations, OMNIPLAN has developed a plan that will create a new urban node while improving an obsolete and dysfunctional traffic interchange. OMNIPLAN’s land and roadway planning will relocate existing public right of way, creating new private tracts to spur redevelopment. Perhaps most significantly, our plan replaced a proposed “fly over” plan designed by traffic engineers that would have forever prevented significant redevelopment of this strategic intersection. 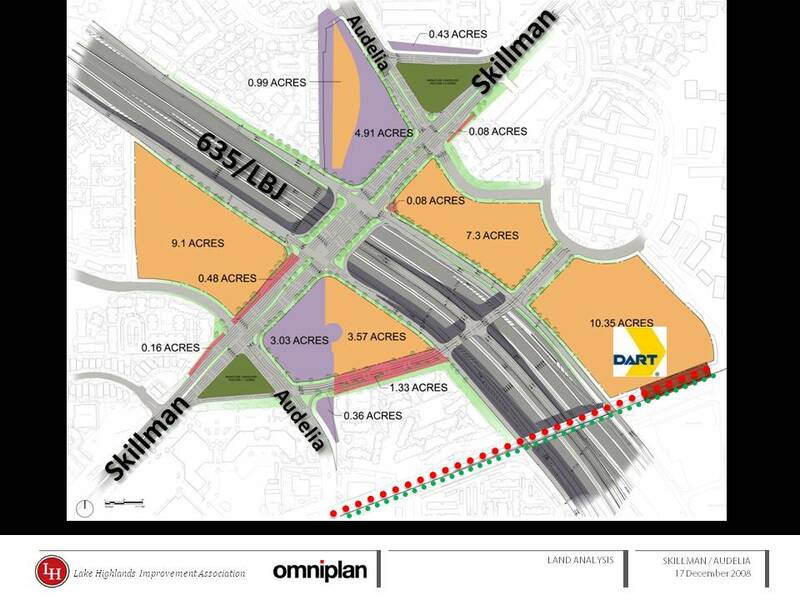 This innovative new plan will ultimately create a new transit oriented development integrated with an existing light rail station and the future reconstruction of IH 635. 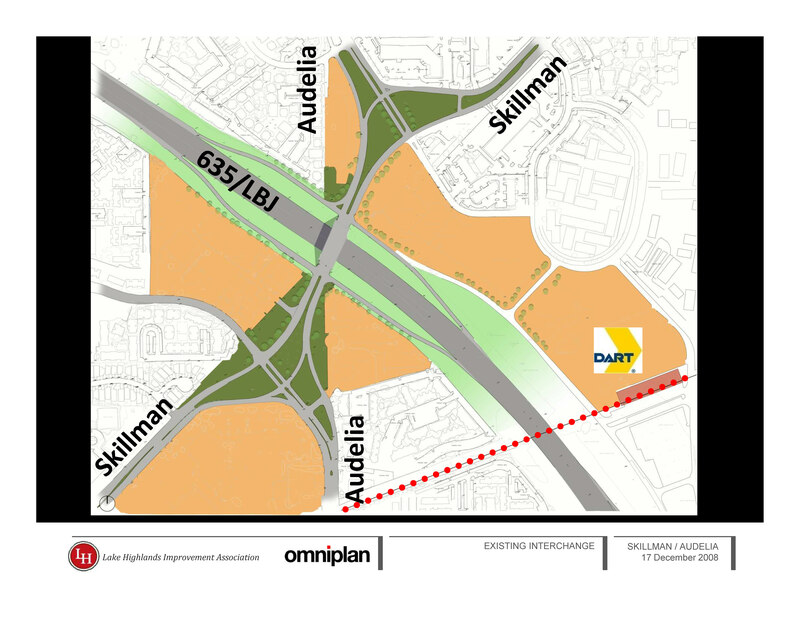 OMNIPLAN’s work at the IH 635 and Skillman interchange has been funded for initial design and EIR by TxDOT. Additionally the plan has been adopted into the City of Dallas thoroughfare plan. The North Central Texas Council of Governments has recently awarded the project Sustainable Development funding to further move the project toward reality.